Dr. and Mrs. Hennis opened his veterinary practice in the basement of their century home in 1982. In 1989, they constructed the present Sagamore Hills Animal Hospital, Inc. (SHAH, Inc.) The SHAH is located on five beautiful acres on the eastern slope of the Cuyahoga Valley very near the Cuyahoga Valley National Park. The animal hospital serves both Cuyahoga and Summit County clients. In 1992, Dennis A. Peters joined the SHAH and remains the longest serving staff member other than Dr. and Mrs. Hennis. In 2000, Dr. Peggy L. Rowan joined the staff and Kim A. Justice rejoined the practice as a state-of-Ohio Registered Veterinary Technician. The practice has continued to grow to six full-time employees and four part-time employees. SHAH, Inc. provides full veterinary services for your pet cats and dogs, including anesthesia, anesthesia monitoring, general surgery, dentistry, radiology, preventive medicine, routine well care and sick care, both in-patient and out-patient. 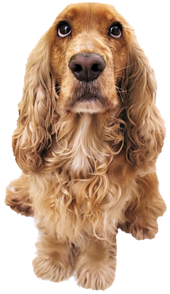 Dog and cat boarding is by special arrangement only for patients with medical or surgical considerations that preclude their boarding in regular kennels.